NEWS! Stand up comedy awards! Comedy awards! Comedians awarded! What was on everybody�s lips until now was finally confirmed on Tuesday when the Academy announced that Eddie Murphy is the one to host the 84th Oscar Academy Awards which will occur February 26 in Los Angeles. Eddie Murphy Will Host the Next Oscars? Comedian and actor Eddie Murphy has shown great interest in hosting the 84th Academy Awards in 2012. It is said that the comedian in discussions with those behind the scenes: producer Brett Ratner presenting his name to president Tom Sherak. The Oscars will air on February 26, 2012. Irish-Iranian stand-up comedian Patrick Monahan won the audience vote after competing against two other finalists and he is now officially the winner of this ITV 1?s �Show Me the Funny� 2011 edition. He is now the happy possessor of �100,000 and about to embark a nationwide tour. The next step is the release of his own stand up comedy DVD. Comedian Adam Riches has won this year�s Foster Edinburgh comedy award, on Saturday, beating the post joint favorite Nick Helm and four other nominated acts. His swingball and Daniel Day-Lewis impersonation got the stand up comedian the most prestigious prize in UK comedy. Comedian Nick Helm Had the Best Joke at the Edinburgh Festival! Stand up comedian Nick Helm has only been performing at the Edinburgh Fringe Festival for two years and already had won the award for best joke for his Snow White gag. The stand up comedian beat better-known acts including last year�s winner Tim Vine to the award created by TV channel Dave. The Nominees for the Edinburgh Comedy Awards Are Here! Today, they were announced the nominees for the Edinburgh Comedy Awards. In the run for the Best Comedy Show are character act Adam Riches, leading Irish stand-up Andrew Maxwell and alternative Australian comic Sam Simmons. For the Best Newcomer, the fight is between Humphrey Ker and Thom Tuck, two of the tree members of The Penny Dreadfuls sketch. 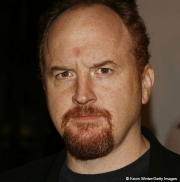 Stand up comedian Louis C.K. is at the top of his career right now. He has big success and the sold out comedy concerts are a statement for it. To acknowledge his talent, Just For Laughs Festival named the stand up comedian Comedy Person of the Year. Louis C.K. is going to receive his award today at a noon luncheon Friday at the Hyatt Regency Hotel. Comedian Ricky Gervais Wants Charlie Sheen to Accept His Emmy! After the Golden Globes, a lot of people were left amazed by Ricky Gervais in his role of host. There were complaints coming from everywhere: the artists, the producers � they all found the stand up comedian�s jokes �totally unacceptable�. However, bad publicity is publicity after all and let�s keep this in mind: we are talking about Ricky Gervais here! Comedian Howie Mandel will host this year's Walk of Fame, which will take place on October 16, at Toronto's Canon Theatre. Comedian Chelsea Handler refuses to dance or sing at the Video Music Awards 2010. Bill Maher will receive a star on the Hollywood Walk of Fame in the TV category. 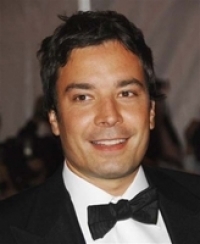 Jimmy Fallon will integrate Twitter into the 62nd annual Emmy Awards ceremony. Comedian Billy Connolly received on Friday, the Freedom of Glasgow award. Bill Maher received four Emmy nominations this year, being listed in the following categories: Outstanding Writing For A Variety, Music Or Comedy Special, Outstanding Variety, Music Or Comedy Series - Real Time, Outstanding Variety, Music Or Comedy Special and Outstanding Writing For A Variety, Music Or Comedy Special. Bill Maher's But I'm Not Wrong stand up comedy show fights Robin Williams' Weapons of Self Destruction for an Emmy Award. 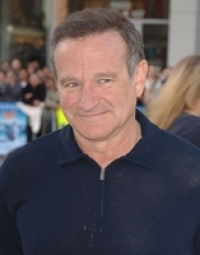 Robin Williams' stand up Weapons of Self Destruction nominated for three Emmy Awards. Eddie Izzard Believe: The Eddie Izzard Story is nominated for the 2010 Emmy Awards, in the Outstanding Nonfiction Special category. Aziz Ansari and Donald Glover will be awarded this month at the Just For Laughs Comedy Conference in Montreal, Canada. Tina Fey will receive the Mark Twain Comedy Prize for American Humor, from the Kenedy Center for the Performing Arts. The comedian Tina Fey, 40 years old, is the youngest recipient of the highest comedy award in USA and will be the third female who receives this top award. 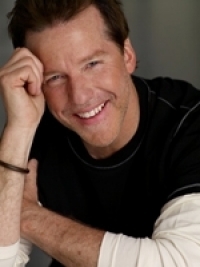 Comedian and ventriloquist Jeff Dunham will host the 2010 CMT Music Awards video of the Year Special, on Saturday , June 5 at 2:00 p.m.
Jerry Seinfeld, Stevie Wonder, Faith Hill to honor Paul McCartney! Jerry Seinfeld will perform next week at the White House, alongside other stars, to honor Sir Paul McCartney. The former Beatle will perform in the concert held in his honor next week, when he will receive the third Gershwin Prize for Popular Song from the Library of Congress. Dane Cook received on Thursday night (5th of November 2009) two top comedy awards. The comedian that sold out Madison Square Garden twice in one night remained speachless while his manager walked on the stage to congratulate him. The great comedian that change the face of the modern comedy, Richard Pryor, was honored the first Mark Twain Prize, inaugarated in 1998.The first annual Mark Twain Prize took place at the John F Kennedy Center for the Performing Arts, on the 18th of October, 1998. The prize is America's foremost award and was named after the humorist and novelist Mark Twain and is to be awarded to those who had great contribution to American humor. The Richard Pryor Award was inaugarated in 2004 at The Fringe Festival, to be judged by the legendary comedian Richard Pryor and his wife, Jennifer Lee Pryor. Chris Rock's stand up special Kill The Messenger has three nomination for the 2009 Emmy Awards. On the 16th of July 2009 were announced the Emmy nominees, one of the favorites being the popular comedian Chris Rock.Known for his talent as stand up comedian and writer, Chris Rock was nominated with his latest stand up comedy special Kill The Messenger for Outstanding Variety, Music or Comedy Special and also for Outstanding Writing For A Variety, Music or Comedy Special. On 10th of November 2008, George Carlin became the Mark Twain Prize for American Humors first posthumous recipient. The comedian known for george carlin 7 words or "seven words you can never say on television" was honoured at 4 months after his death. George Carlin stand up comedy career was this way appreciated at its true value.